Contact City VIP Concierge 702.741.2489 City VIP Concierge for all your Las Vegas New Years Table & Bottle Service. 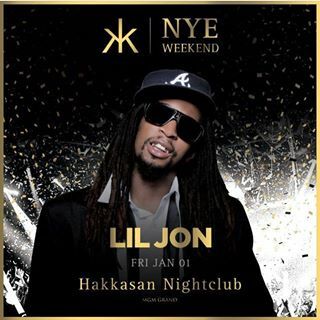 Jonathan Smith (born January 17, 1971), better known by his stage name Lil Jon, is an American hip hop recording artist, record producer, entrepreneur, DJ and actor. He was the frontman of the group Lil Jon & The East Side Boyz, which he formed in 1997, and they released several albums until 2004. He then went solo and released a new album in 2010 titled Crunk Rock. He was also featured on Celebrity Apprentice during its 11th and 13th seasons.